Anna (Zoe Lister-Jones, LIFE IN PIECES) and Ben (Adam Pally THE LITTLE HOURS) are a married couple who fight constantly. After playing around with kid instruments at a birthday party, Anna comes up with an idea to turn their ongoing fights, into improvised songs as a way to work through their relationship challenges. The two dust off their old guitar and bass to start a duo band in their garage. 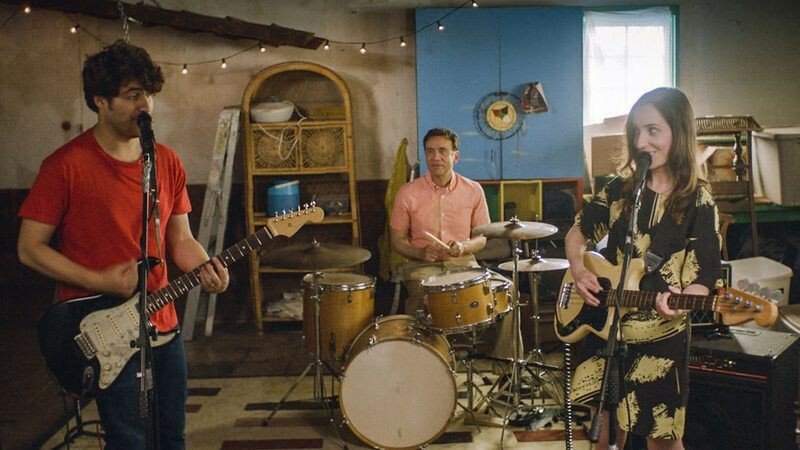 When they realize how well they jive, and how much fun they are having, it isn’t long before they pull in their quirky neighbor (Fred Armisen PORTLANDIA, THE LITTLE HOURS) to join in on drums. BAND AID is a debut feature by Zoe Lister-Jones, who wrote, directed, produced and stars in the film, but also wrote all the songs for the film, along with composer and singer-songwriter Kyle Forester. Zoe Lister-Jones is an actor, director, writer and producer who is currently starring in CBS’s Life in Pieces. As a writer/producer/actor, her previous credits include Confirmation (HBO), Breaking Upwards (IFC), Lola Versus (Fox Searchlight), and Consumed (MarVista Entertainment). Band Aid, which she also wrote, produced, and stars in—under the banner of her production company, Mister Lister Films—marks Lister-Jones's directorial debut. "An exuberantly low-key charmer that uses a light, wry touch to tackle such weighty matters." "BAND AID has wit and nasty charm." A voice over actor tries to deliver the right performance while receiving both confusing text messages and confusing direction.